International travel often demands you spend your time on the move, but sometimes you just have to know how to sit back and relax too to get the most out of a vacation. As I hit the hotel room in Tokyo after a couple of days’ worth of traveling I knew that my normal hitting the road was not going to work. I needed rest and relaxation and with the Peninsula giving me some amazing five star luxury I was in the right place to make that happen. Usually there are two separate but equal trains of thought on travelling: those who hit the destination all in, soaking all the fun they can out of it and those who have R & R on the brain and plan to lay back and take a mellow break from their everyday life. Admittantly the first one is usually my go to, but I learned an important lesson on balance in my Tokyo trip. Spending time recharging at your hotel is not only a great way to not come back from your trip needing a vacation from your vacation but it is a good way to get your money’s worth when booking luxury travel. I now consider it mandatory getting my money’s worth time. Enjoy the plush robe and slippers, soak your stress away in the tub, and ponder life outside the phenomenal view of your window. All these things help define the vacation separate from the ripping and running that probably occupy your normal life. So as much as I like this balance sitting still too long will never be up my alley. But exploring will always be a passion of mine so why not start the exploration at the hotel. Great hotels are typically prepared for wandering spirits and have great amenities. The pool and spa facilities at the Peninsula were exceptional. As with most things very orderly (there was instructions on pool routine, swim, and then sauna then swim). 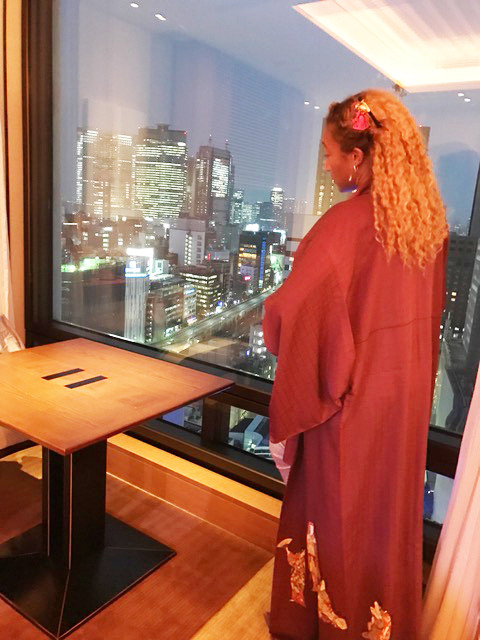 With the incredible views of Ginza and invigorating hot tub it did a great job of unwinding both my body and mind. Lesson learned for me though that exploring a new city can start first with your hotel as you balance your quest for adventure with a desire to re-invigorate yourself.